This policy applies only to legitimate customers of Satori Publishing. Those who have used illegal and/or fraudulent means to obtain goods and services from Satori Publishing and subsidiaries of Satori Publishing will be afforded absolutely no privacy, and all discovery will be forwarded to the appropriate international (InterPol), federal (FBI), state and/or local law enforcement organizations and entities, consumer and business protection agencies and bureaus, Internet Service Providers (ISPs), Electronic Mail (email) Providers, news organizations, et al, at our discretion. or you can reach us by telephone or fax at (219) 262-7906. We collect the e-mail addresses of those who communicate with us via e-mail, aggregate information on what pages consumers access or visit, no information on consumers who browse our web pages. The information we collect is not shared with other organizations for commercial (or any other) purpose. We do not sell, rent, lease, give away or trade any customer information we have with anyone. With respect to cookies: We do not set any cookies. However, 1) our web server uses "Aplus Analytics", which may set a cookie to analyze visitor traffic and patterns. No personally-identifiable information is collected; 2) use of the Google translate widget, found on most pages, will fall under Google's privacy policies. If you supply us with your postal address on-line you will only receive the information for which you requested when you provided us your address, or if we are unable to contact you via email. We ask for your phone number at the time of purchase. If you supply a phone number, we will use this phone number only as a last resort, for example, if we are having problems sending you your registration codes to you because of email problems. 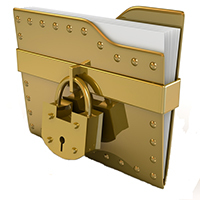 With respect to security: We have appropriate security measures (multiple, redundant firewalls) in place in our physical facilities to protect against the loss, misuse or alteration of any information that we have collected from you at our site. Plus, absolutely no credit card information is ever stored on our computers, workstations or servers. All network personnel are required to be certified in network security, internet security and computer forensics as a condition for employment. The bottom line is: we do not rent, lease, loan, borrow, give away, trade, sell or release any information about you to anybody*. Your privacy is assured. Period. We take your privacy seriously. *barring court order or subpoena. Since our founding in 1987, we have never received any such court order or subpoena.